Chicago’s Rogers Park and West Ridge neighborhoods are attracting new bungalow lovers. A contemporary house is transformed into a home for Arts and Crafts collectibles. Two Minneapolis homes shae the Arts and Crafts ethos. Adding on to a modest bungalow near Puget Sound. 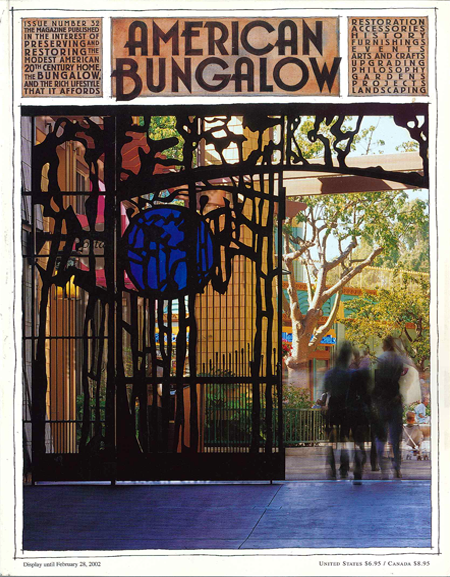 Disney Resorts’ newest hotel and theme park celebrates historic California Arts and Crafts. One reader finds his family’s life transformed by their bungalow years. A special Arts and Crafts home fuses Prairie, English and Swiss styles. A Spokane labor of love goes national.